Nice 1.04 acre property consisting of 2 tax lots (each .52/ac), in a quiet neighborhood. 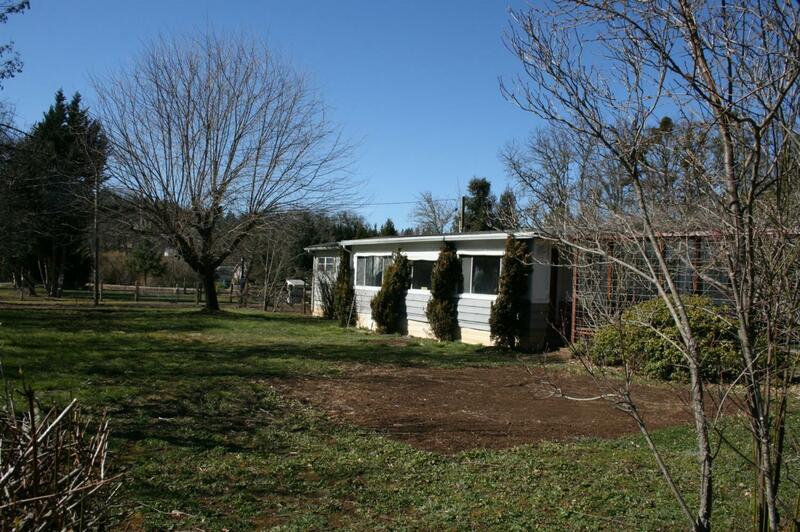 The home is a 1971 doublewide manufactured home, 3 bedrooms 2 full baths, 1710 sq ft., is clean and cozy. In addition, there is a 1963 singlewide, being used as storage and condition is unknown. Exterior features include, gated entry, carport, fruit trees, raised garden beds and a seasonal creek at the back of the property. Remove a few trees and one could open up some lovely mountain views. Buyer will want to perform due diligence regarding uses of the 2 lots as well as condition of property and improvements. Directions: Cloverlawn to E. Woodside to address.